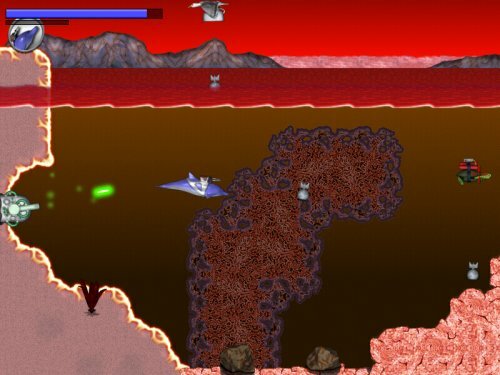 Download the free demo of Laser Dolphin and prepare yourself for a unique underwater adventure. 70 levels and three game modes (including stunt mode) await you. 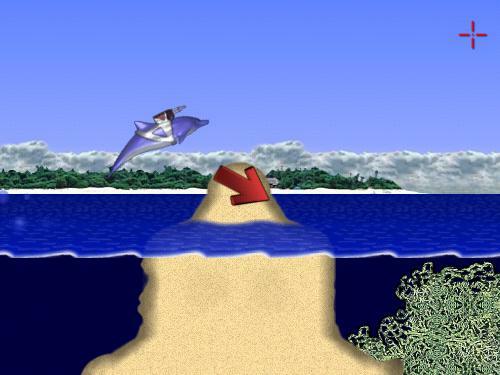 There are 11 unique sea creatures hunting you down. 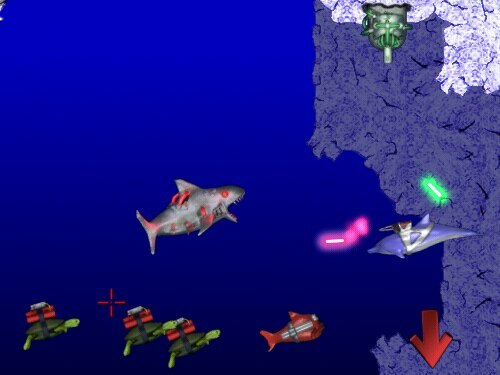 You will meet Missile Fish, Robo Birds, TNT Turtles, Robo Sharks, and more! Each enemy requires different tactics to defeat. Some enemies require that you carefully evade them, while others are easier to simply obliterate. No matter which opponent you come across, you will always feel safer knowing that you have your trusty laser strapped to your back. 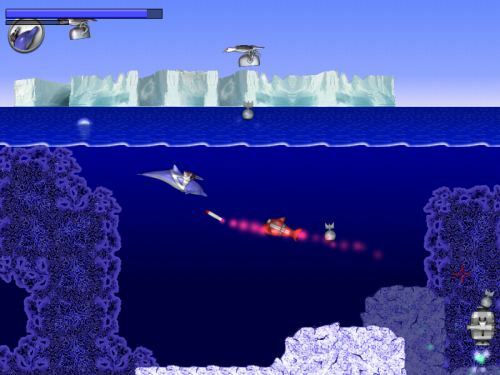 The Prime Minister was abducted by aliens and Laser Dolphin is the only one who can save him. Unfortunately the aliens have taken the Prime Minister light years away, so you will need a spaceship to find him. Once you have acquired this spaceship you will search the galaxy for the Prime Minister. 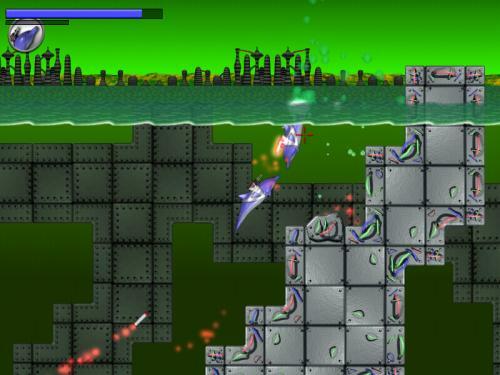 The Prime Minister needs you help, so download Laser Dolphin now! 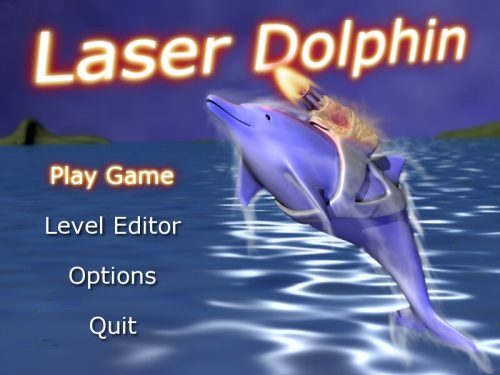 With his unique blend of speed, agility, and firepower, Laser Dolphin is the only one capable of completing this adventure of epic proportions. As the adventure progresses, you will travel to 3 alien worlds in search of the Prime Minister. Along the way you will find 250 helpful Gold Dolphins. These will replenish your health as well as unlock fun cheat codes. Many of these are hidden behind rocks and in secret passages, so keep your eyes open. And if all that isn't enough, there are two more styles of play to experience: Stunt Mode and Racing Mode. Use the built-in level editor to create, play, and share your own levels. Build walls, rocks, crevices, caves, sandbars, and more. Create Mines, Birds, Missile Fish, Drones, Turrets, Auto Guns, Robo Sharks, Evil Dolphins, Electric Eels, TNT Turtles, and Gold Dolphins. The only limit is your imagination so download the free demo now!